The airwaves abound with cooking shows, some featuring the cuisine of famous chefs and others contests judged by famous chefs. Cable TV even has an entire network devoted to food and its preparation. However, if asked to name the top chefs in the world, most people might automatically include Julia Child, whose culinary expertise first aired on television in 1963 with The French Chef. Child remains a recognized name after her death in 2004; however, other chefs gained relative fame and relative fortune long before mass media took the world by storm. History credits 5th century B.C. Sicilian cook Mithaecus with having authored the first cookbook in any language. Only one recipe survives, a single line advising to cooking red bandfish, a species of fish found in the eastern Atlantic and Mediterranean. 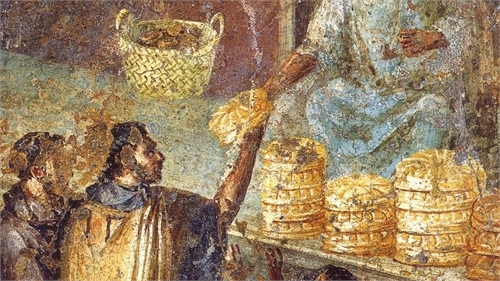 Mithaecus worked in Sparta and Athens, bringing a Sicilian influence to Greek cuisine. Moving ahead to the 2nd century A.D., Roman Emperor Trajan appreciated Marcus Gavius Apicius for finding a way to preserve fresh oysters for the journey from Rome to Mesopotamia. History credits the ancient Roman cookbook Apicius to him and his name became synonymous with the characteristics of a gourmand. Guillaume Tirel (1310 - 1395 A.D.) served as the cook to the French court by the age of 16. The first to hold the title of “Master Chef,” Taillevent, as he was nicknamed, wrote the definitive cookbook, Le Viandier, for the cuisine of northern France and set the standard for French cuisine for centuries until Catherine de Medici arrived with a new cadre of cooks and gustatory preferences. Martino da Como—also known as Martino de Rubeis, Martino de Rossi, and Maestro Martino—holds the honor of being the Western Hemisphere’s first celebrity chef, earning the title the prince of cooks. He cooked for royalty and for the papal chamberlain. Considered unparalleled by his contemporaries, his landmark cookbook Libro de Arte Coquinaria (1465) recorded the transition from medieval to Renaissance cuisine. Bartolomeo Scappi (1500 - 1577) catapulted into fame when he organized a banquet while in service to Cardinal Lorenzo Campeggio. His illustrious service continued to service as the chef for Pope Pius IV. His extensive cookbook Opera dell’arte del cucinare (1570) contains over 1,000 recipes of Renaissance cuisine. Lancelot de Casteau (a.k.a. Anseau de Chestea, 1557 - 1613) cooked for three prince-bishops of Liège and wrote the Ouverture de cuisine (1604) of which only one copy remains. Guillaume Fouquet de la Varenne (1560 - 1616) was born to a master chef and carried on in his father’s profession to serve three generations of royalty, first in the kitchen and then as a statesman to Henry IV. France and Italy continued to dominate the cuisine enjoyed by Europe’s aristocrats and wealthy commoners in the 17th century, with the notable exception of Polish soldier, property manger chef, and writer Stanislaw Czerniecki (1645 - 1698). He wrote the first Polish cookbook, Compendium ferculorum, albo Zebranie potraw, while employed as head chef for Prince Aleksander Michal Lubomirski. Italian Procopio Cutò (a.k.a. Francesco Procopio Cutò or Francesco Procopio dei Coltelli, 1651 - 1727) rose to fame by both founding a cafe in Paris which operated for over 200 years, and by popularizing gelato once he adapted his grandfather’s ice cream machine for large scale production. The two notable French chefs in the 1600s include François Pierre de la Varenne (1615 - 1678) who wrote one of the most influential cookbooks in early modern French cuisine: Le Cuisinier françois. His books departed from the heavily spiced medieval cuisine and focused on fresh fish and produce and French innovations in cooking. François Vatel (1631 - 1671) served Prince Louis II de Bourbon-Condé and King Louis XIV. Famed for his sumptuous banquets, his great claim to fame centers upon his death: he committed suicide in reaction to the late delivery of fish. French and Italian cuisine continued to set the standards for fine dining in Europe and in the fledgling colonies in the New World until the mid-1900s. Modernization of traditional cuisine usually incorporated updates from French and Italian cooking, which emphasized freshness. Frenchman Paul Tremo (1733 - 1810) served King Stanislaus Augustus Poniatowski of Poland and was responsible for modernizing Polish cooking by combining it with French and other western European influences. However, food preservation remained an issue for those living in cold weather areas. Responding to Napoleon Bonaparte’s nationwide call for new techniques to preserve food for his army, French confectioner Nicolas Appert (1749 - 1841) recorded his revolutionary methods for food preservation, notably canning, in The Book for All Households; Or, the Art of Preserving Animal and Vegetable Substances for Many Years. Pioneering chef Antoine B. Beauvilliers (1754 - 1817) served aristocrats and royalty and opened a fine dining restaurant that catered to the egos and tastes of his clientele. He also wrote L’Art du Cuisinier, which not only included recipes but also instructions on how to run an elegant restaurant. The extravagance and international social whirl of the Regency and Victorian eras had aristocrats and wealthy commoners expanding their palates and vying for culinary bragging rights. Top chefs became coveted commodities, rivaling top operatic singers for name recognition and the power to draw social and political movers and shakers to their employers’ tables. If the way to a man’s heart lay through his stomach, then the way toward social and political influence lay on the banquet table.